Attractions In New Mexico You Must Visit! There are so many excellent New Mexico attractions it is hard to pick favorites. Whether you live in state or are visiting from out of state, you’ll want a quick and handy reference list for things to do in New Mexico. That’s what this page does; gives a quick rundown of each location to make your travel decision easier. What you decide to do will depend where you are in the state. And what you have time for! We’ve divided the state into 5 sections; Northern, Central, Southern, Eastern and Western. Our New Mexico attractions will be listed according to these sectors to make your travel plans easier. Each of the attractions in New Mexico that I’ve written about are places I have personally traveled to, so you are receiving my one-on-one recommendations. As I visit more places, I will add them so this list will be ever growing. 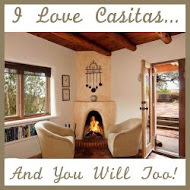 Please check back and see what new places in New Mexico I have added for your reading (and visiting) pleasure. Some of the more popular places will probably attract your attention first, because you’ve heard about them and they sound familiar. They are great places to start. But, let me advise you, the out of the way attractions have a lot to offer also. I suggest you read each place’s article and any accompanying reviews or comments before you make your final decision. I’m sure you will soon discover there is much more to New Mexico than tumbleweeds and wide-open spaces. 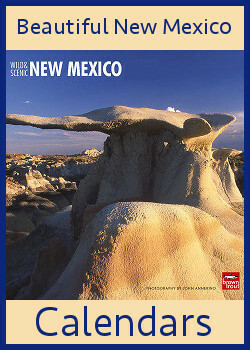 Buy A Handy New Mexico Travel Guide For More Information! I hope you have enjoyed reading through all the things to see and do in NM. There are so many unique places to visit and historic sites to see and history and culture spanning hundreds of years. I hope you have a chance to see them all. 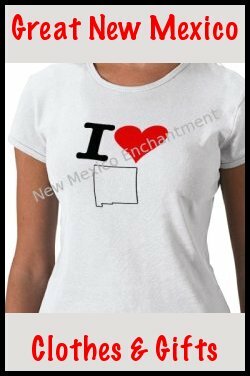 Enjoy exploring New Mexico and have a wonderful trip!